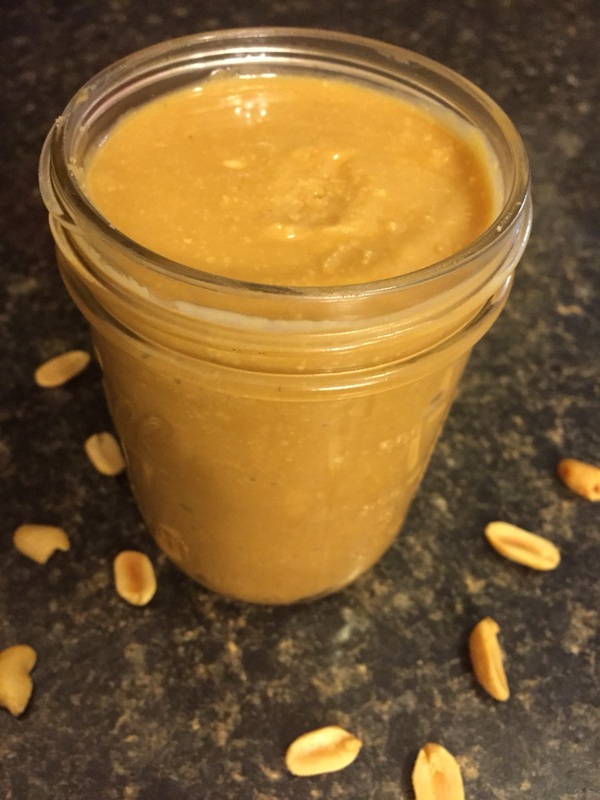 Crochet, Cook, Create: Creamy Chunky Peanut Butter! Making something homemade has, honestly, never been easier! 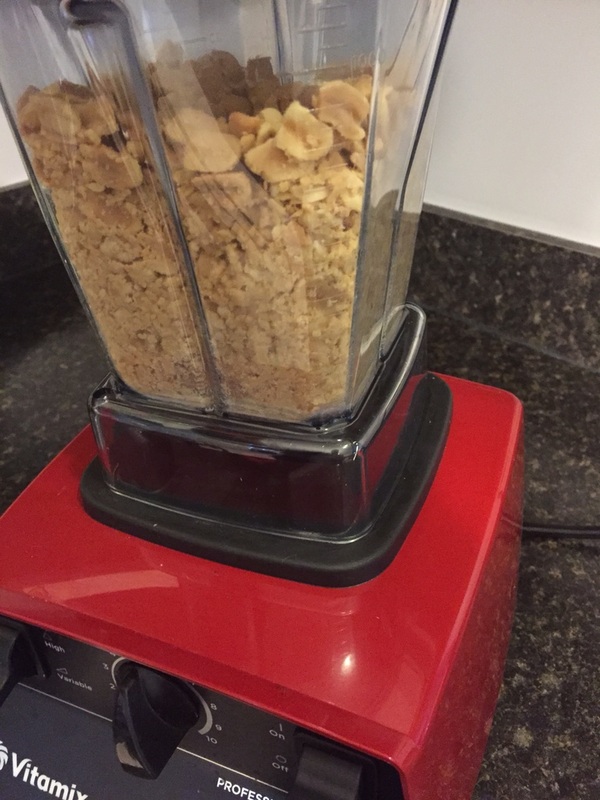 My Vitamix kicks a** when it comes to making peanut butter. If you do not have a Vitamix, you can simply use a food processor that is high quality enough to with stand making a big batch of peanut butter. 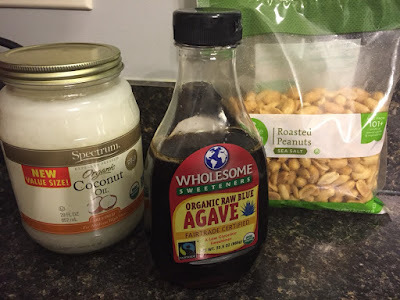 Recently, I have started to experiment with different ways to make peanut butter; I have (and will share later) hazelnut spread, honey roasted peanut butter and almond butter, all made homemade with very little ingredients. But for now, I am only sharing plain old peanut butter, with a little sweetener added. Some of my favorite foods to make with homemade peanut butter are my Buckeye's; I make these for Christmas and every year on the first Ohio State Football game. Homemade peanut butter taste so much nuttier, and cannot compare to store bought. Once you make this, you never will go back to store bought! The amazing thing about this peanut butter is it takes 10 minutes to make roughly, and is so worth the time you put in. Place peanuts in your Vitamix blender or food processor, blend until crushed, then added your agave and melted coconut oil. Do not melt the oil in the microwave, melt in on the stove or double broiler. 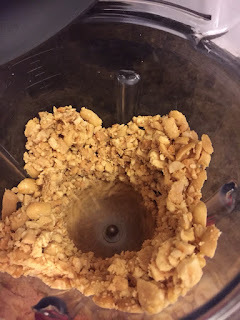 After about 5 minutes the peanuts will start to clump and break down; this is peanut butter, keep going you are half way there! 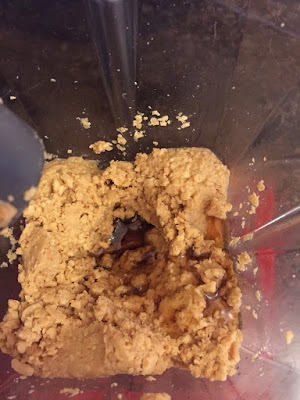 I hate to admit this, okay maybe I do not hate to admit this, but once I stop the blender I cannot help but take pieces of the peanut butter out and munch on it.. yummm it is like peanut butter dough!! Store in mason jar in your fridge for 1-2 months (if it last that long! haha) This peanut butter is super amazing! I added some peanuts in at the end and blended for a minute to make this chunk peanut butter; it is super creamy yet chunky.